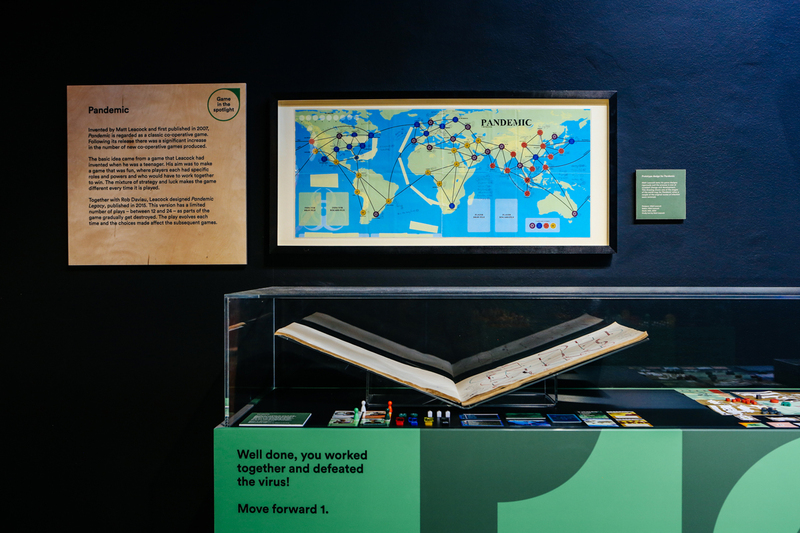 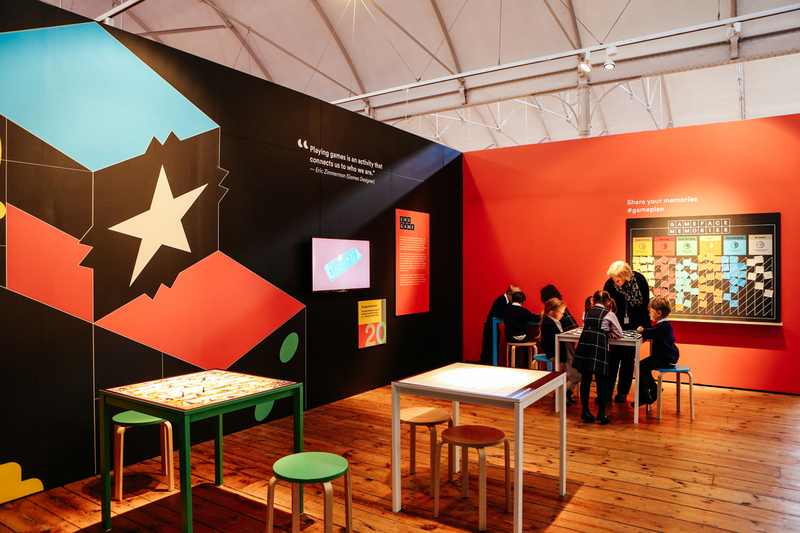 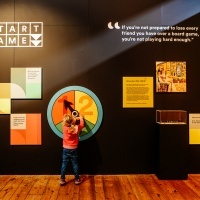 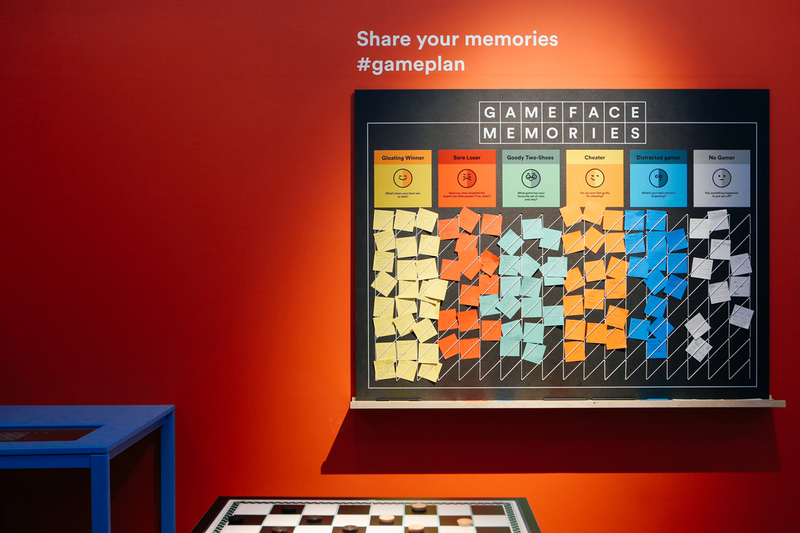 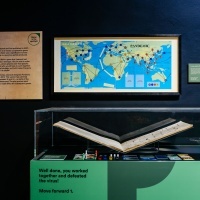 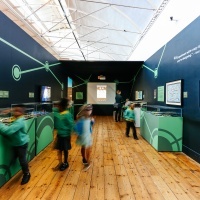 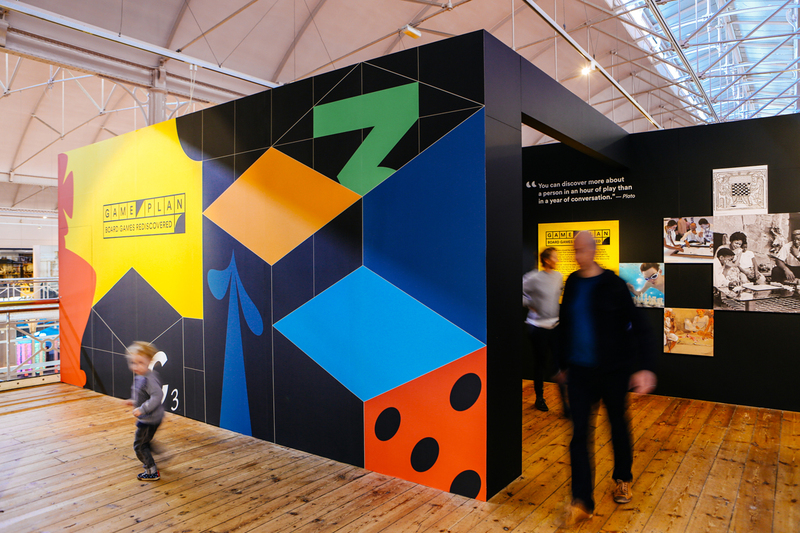 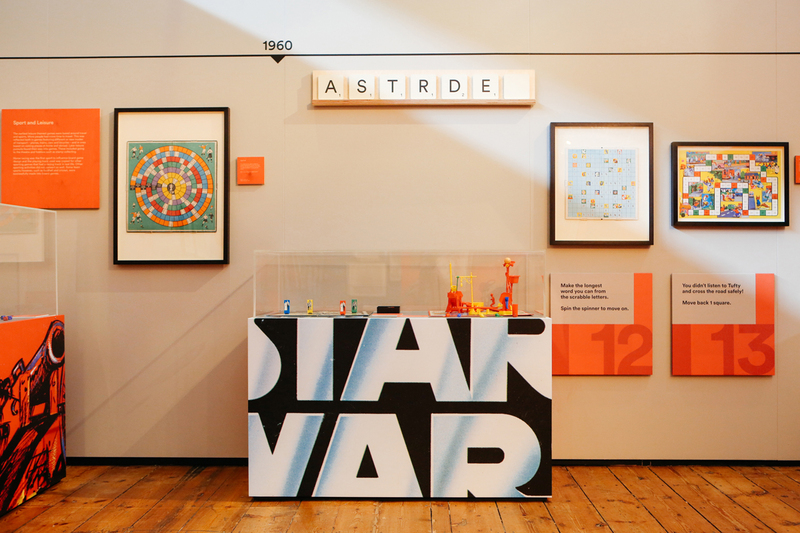 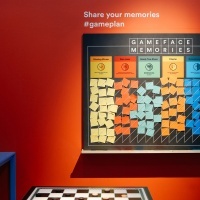 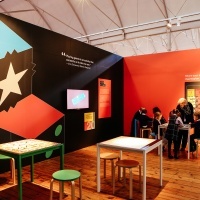 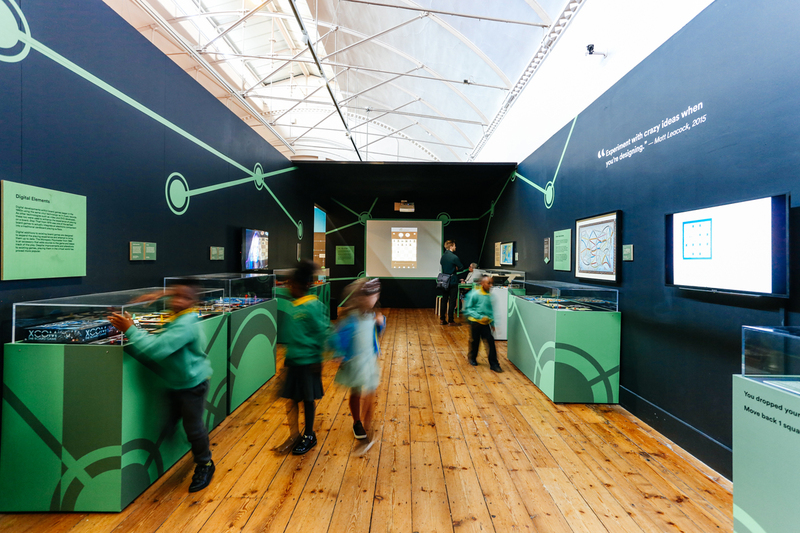 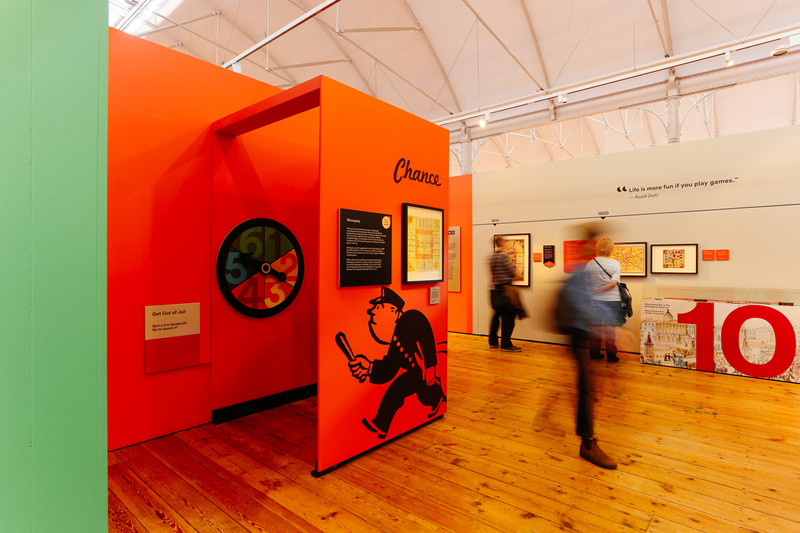 Studio Thomas.Matthews is behind the design of the V&A Museum of Childhood’s latest exhibition, Game Plan: Board Games Rediscovered – with the vibrant colours, simple shapes and clear typography of classic ‘race’ games inspiring the look of the space and visitors’ journey through it. 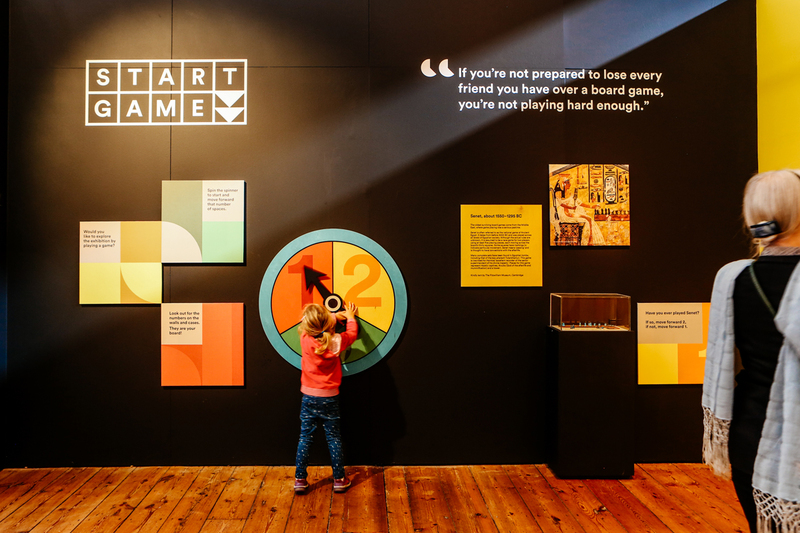 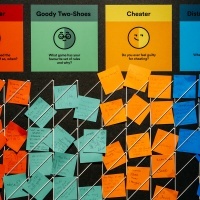 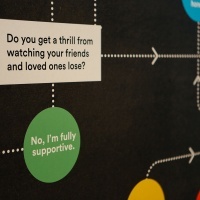 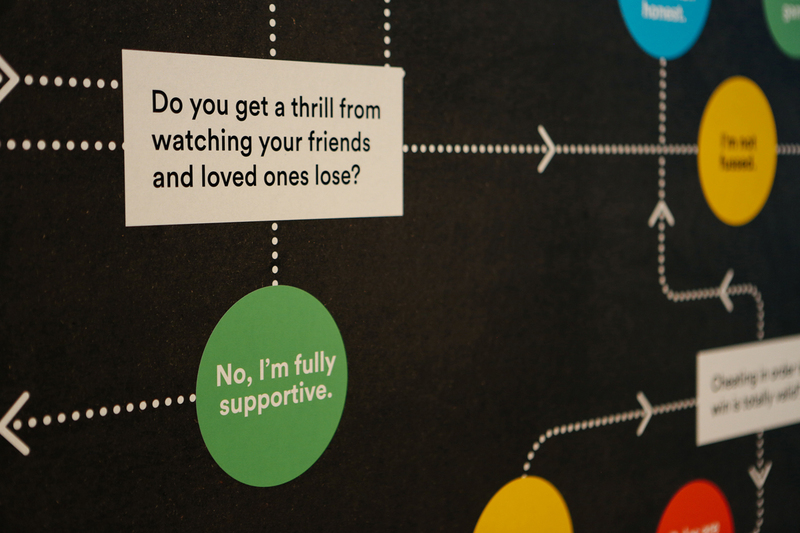 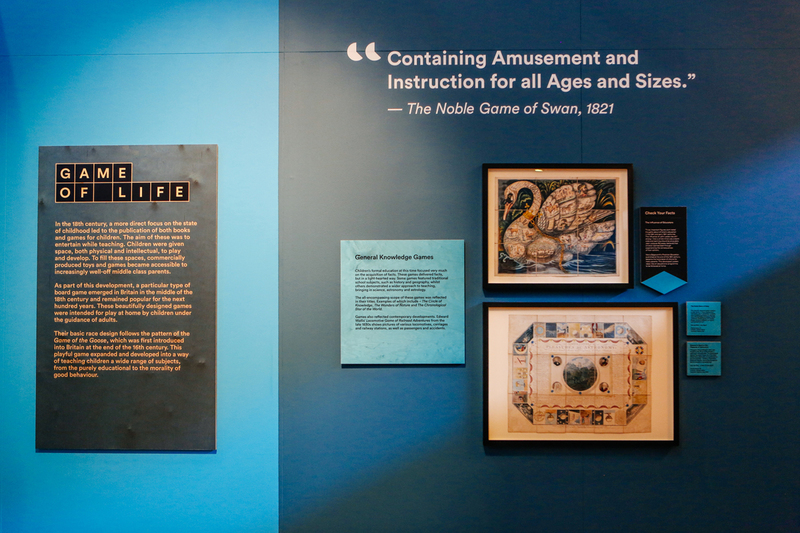 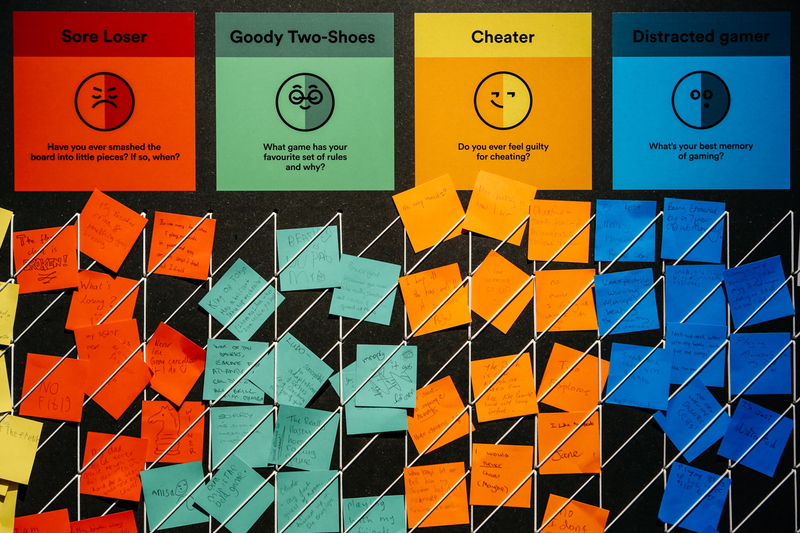 As the exhibition is set to tour another four venues it has also been conceived in a similar way to a board game: it can be packed away (relatively simply). 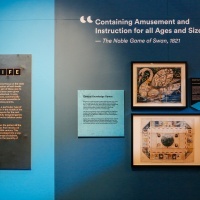 “The game exhibition components, such as the large format canvas frames, are lightweight and can be easily installed, packed and transported,” say the studio. 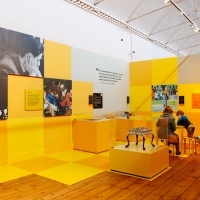 This being a Thomas.Matthews project, sustainability was also a key factor of the design from the outset – for example, waste cuttings from the canvas panels have been used to create text panels throughout the space. 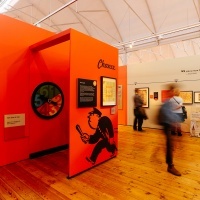 The TM design team also worked with LTD and Qwerk production houses. 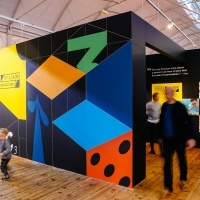 “In instances where the use of MDF is the most appropriate, it is Zero Formaldehyde and all the PVC vinyl used will be recycled once the exhibition has finished touring,” they add. 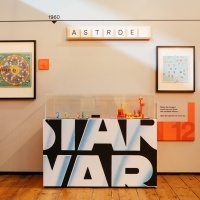 The exhibition is on at the V&A Museum of Childhood in Bethnal Green, London until April 23 2017. 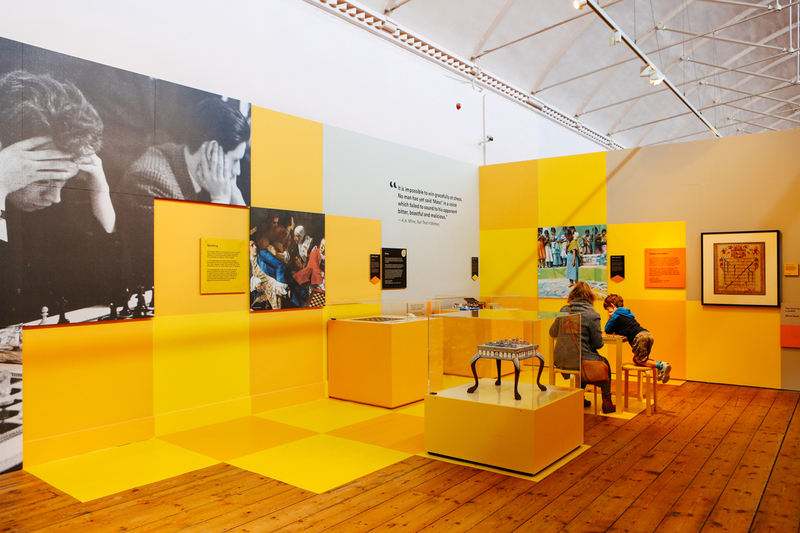 Lighting design: Graham Festenstein.